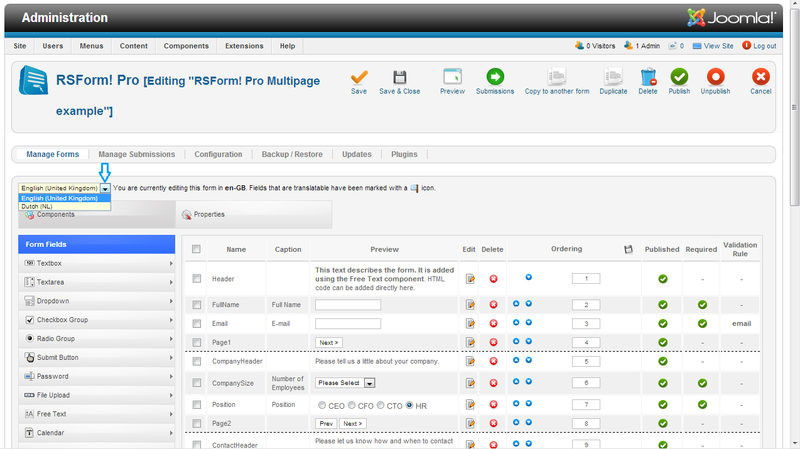 If you find yourself in the situation where you have re-configured a form's captions, default values, descriptions, validation messages, emails on a multi-lingual website but your users still see the old settings (or get the old emails) instead, note that this is most likely being caused by the fact that you have re-configured the form's fields and properties (including emails) for only a single (or the wrong) frontend language. Head to Components >> RSForm!Pro >> Manage Forms >> edit your form >> Properties >> User/Admin/Additional Emails >> select the language in the dropdown found to the upper-left side of the form's tab. 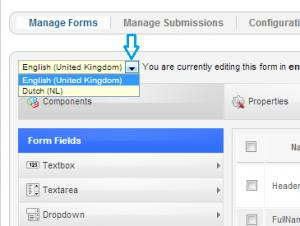 edit the form's fields and properties for each language.